Tuna is tasty, versatile and inexpensive. Meals straight out of the store cupboard, things you can put away to take on vacation with you to save costs, meals the kids can help you cook. My son's first proper meal that he cooked for the family with no supervision (apart from in and out of the hot oven) was Tuna Pasta Bake. He was 7 years old and had such pride in the meal he'd cooked for us. I always have a few cans of tuna in the cupboard - great for a quick sandwich, tuna melt, tuna pate with toast, tuna pasta bake, tuna lasagne. You can also make cat treats with it - yes really! A lot of people say they don't really like fish, but will eat canned tuna. It's certainly a step in the right direction if you're looking for 'meat free' days. It is the one oily fish that doesn't retain its Omega oils in the canning process - salmon, pilchards, sardines do. However, it is still full of protein and other goodness. Here's a short video I've made for a Tuna Pasta Bake. You can use any sort of pasta you like - I used some fresh taglietelle here as I had some in the fridge that needed using up, but you can use short pasta, bows, spirals, shells - whatever you have handy. If you have leftover spaghetti or other long pasta, you can mix that in. Anything goes and it's a way of using up leftovers. If you have only a little, then freeze it until you've got enough to make a dish full. 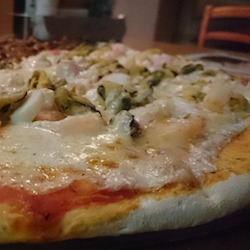 It's tasty and economical and will serve your family quickly and cheaply. 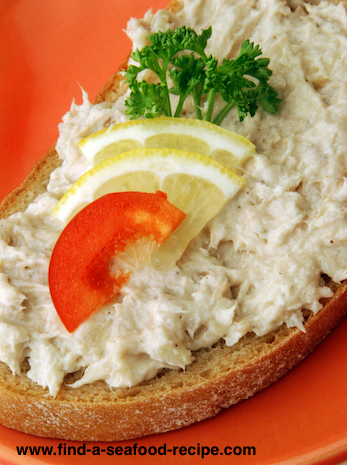 Canned tuna recipes are extremely versatile. 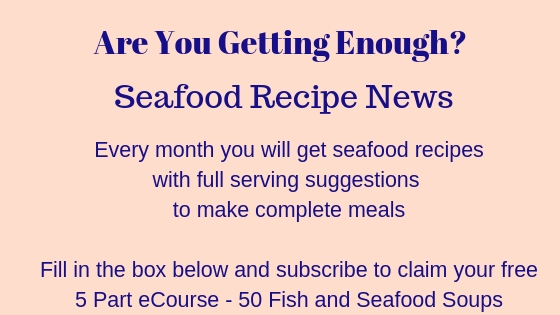 For any of these, you could substitute canned salmon, pilchard, sardines, mackerel or even fresh fish. There are no rules - it's your game! I've done a YouTube video on making home made cat treats with catnip and tuna. Canned tuna is alright for cats in small quantities. It's not something you should feed them every day. This recipe makes around 70 cat treats, so your kitty won't be getting loads of tuna if you only give her two or three a day. I bet you didn't expect to find canned tuna recipes for your cat! Tuna Sandwiches - so tasty and succulent. Add some thinly sliced cucumber or tomato. 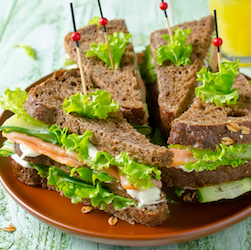 You can make double decker or Club Seafood Sandwiches with it too - toast your bread lightly to make it easier to handle. Make the bottom layer tuna - either mixed with mayonnaise or use the tuna pate recipe linked below. Make the top layer crunchy lettuce, thinly sliced tomato and cucumber. 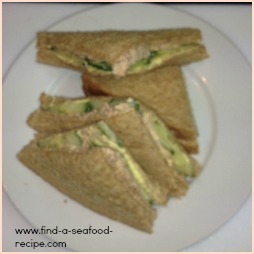 Tuna Pate Superb on toast or as a sandwich filling. This goes down really well on crunchy breadsticks as a dip. Make sticks out of celery, bell pepper, cucumber and carrots. Serve the pate with the crudités for a tasty and healthy television snack. Super Bowl food! This super easy recipe for cooking Tuna Lasagne in the slow cooker is easily adaptable. It's an economical way of cooking lasagne as you don't need to switch the oven on for just one dish. It takes between 3 hours (high) to 8 hours (low) so it's a great choice for putting in to cook before you go out and have something ready to eat as soon as you get home. If you use a bag of mixed seafood or add some defrosted shrimp or similar, this becomes a Seafood Lasagne. Brown half a pound of minced beef with the onions and you've got a Meat Lasagne. Chop up some mushroom and other veggies of your choice and you've got a Vegetable Lasagne - see what I mean about versatile! Tuna Melt is super quick to put together. You can use ordinary bread or a split baguette. Add a side salad and you've got a tasty and nutritious family meal. 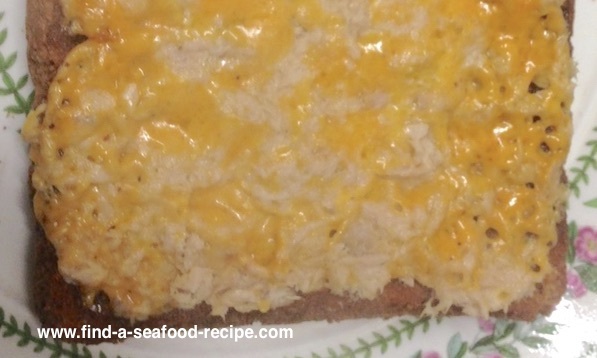 Canned tuna is perfect for a Seafood Pizza. You can add other seafood, but it's perfectly fine on its own. I love the juicy chunks of tuna that you find lurking under the cheese.